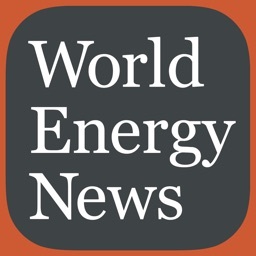 Access the latest oil prices, energy news, market data and industry analysis from leading journalists around the world.Oilprice covers the latest stories in Energy, Oil Price Analysis, Alternative Energy, Finance, Geopolitics and more with more energy news than any other website. Customize your own personal portfolio around latest news, price alerts and incoming market data. 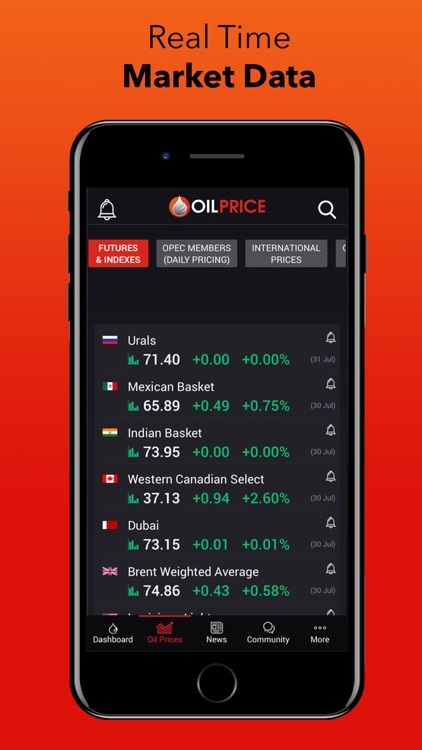 For reliable and up to the moment sector analysis you can rely on Oilprice to deliver the information you need, when you need it. 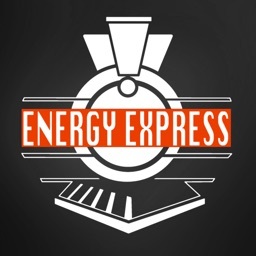 - Energy News: Featured and trending stories in energy, oil news, alternative energy, finance, geopolitics and more. 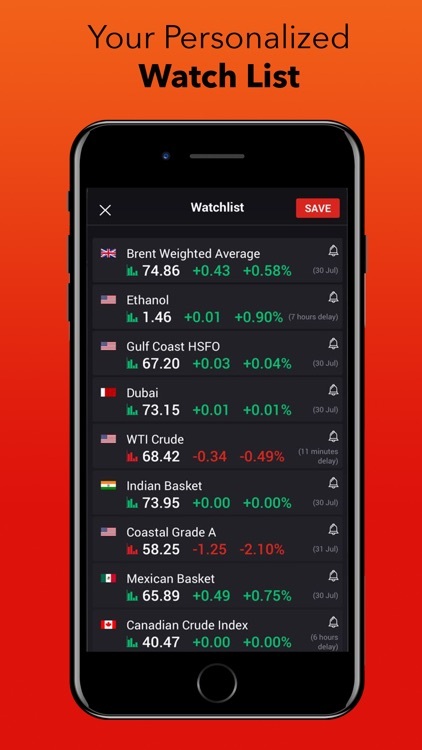 - Oil Prices: More live oil prices than any other app with over 200+ blends, including WTI Crude & Brent Crude as well as OPEC blends, Canadian blends and US blends with price charts and comparison tools. 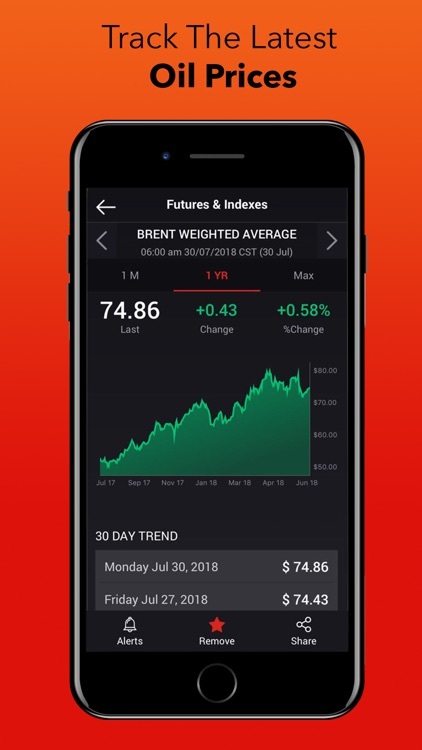 - Market Data: Get the latest real-time oil and price data as well as market analysis at your fingertips. 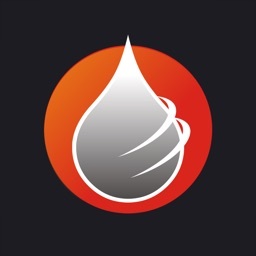 - Alert Notifications: Receive daily news and price alerts from the energy topics and stocks that matter to you. - Customizable Stock Alerts: Customize your personalized portfolio to notify you whenever stock has gone up or down - you set the prices, you set your targets. 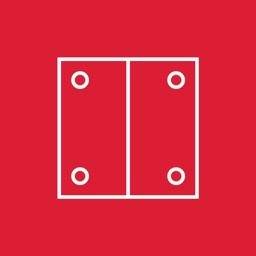 - Customizable Watchlist: Easily track your portfolio by creating and editing your personal watchlist with tailored alerts. - Share: With just one tap share your oil stock picks and energy news to your network. 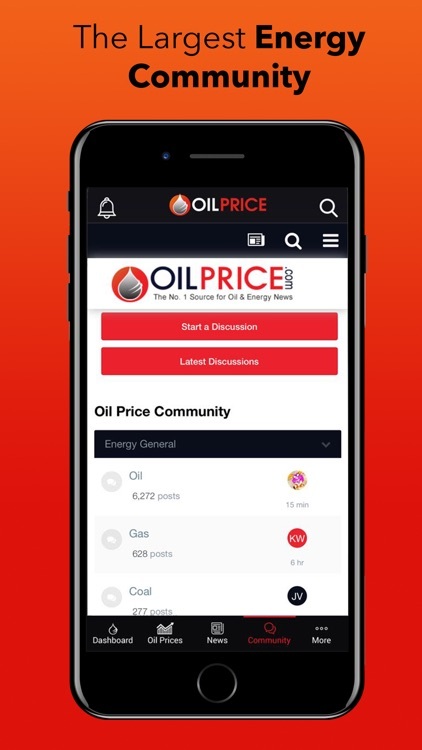 - Comment: Discuss the news articles that matter to you most, connect with your favorite authors, and engage with the Oilprice community. 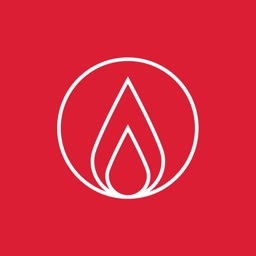 - Community: Engage with the largest community dedicated to Oil and Gas on the web. 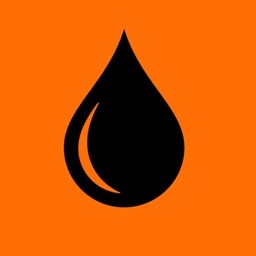 Oilprice.com is the most popular energy news and oil price website in the world. With market analysis that focuses on key areas of the energy industry including Oil and Gas, Alternative Energy and Geopolitics. 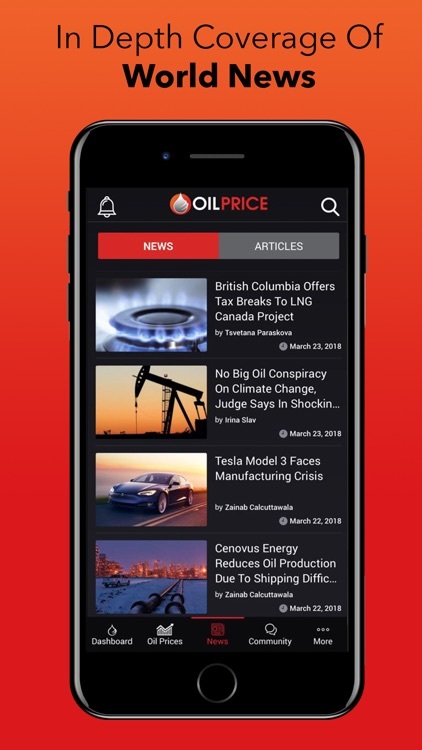 Oilprice works with the largest names in financial news and provides news and industry analysis to sites such as: CNBC, Yahoo Finance, Nasdaq, Fortune, TIME Magazine, Huffington Post, USA Today, CNN Money, Business Insider as well as hundreds of others.